TASK focuses on offering a wide range of training programs and providing trainers and experts specialized in a variety of corporate training and development programs. Internationally accredited courses are given to trainees according to the highest professional standards. Through implementation of state-of-the-art training mechanisms, TASK stays abreast of the latest developments in the field of training worldwide. TASK offers quality and proficiency in a wide range of specialties including human capital development, corporate excellence and advanced soft skills. Through TASK expertise in training needs analysis (TNA); solutions are tailored to your specific needs and are aligned with your strategic objectives. TNA is the first critical stage in the training cycle, and the other stages are normally identified as design, presentation and evaluation. Through our training methodology, the cycle is continuous. The evaluation phase includes a re-assessment of training needs - leading on to reinitiating the TNA process to ensure continuous improvement. Through TASK center, we seek to offer value-added training that accomplishes the targets of human capital investment to ensure your organization’s ROI. As part of TASK quality assurance process, before any training takes place we will jointly agree on a set of Key Performance Indicators (KPIs) that will be measured and monitored throughout the duration of the training contract. These may include; skill level improvement; end-user satisfaction or financial reporting on ROI. We will then analyze your progress against these KPIs and proactively suggest areas where improvements could be made. • We start by understanding your objectives, expectations and needs. Following that we define specific target levels and KPIs. • We help you identify skills gaps and determine suitable target competency levels by employee groups – this could be by title, job function, or business unit. This will enable us to set out a clear path on how to achieve your objectives and ensure success. • Based on your defined objectives, we design optimal solutions and consult on challenges that face your organization in relation to: urgency of various employee groups’ training needs; budget; location of employees; and identified skills gap. We then make recommendations on which training solution to provide you to meet the targeted objectives and timescales. • We constantly monitor and analyze results and proactively suggest solutions to improve and motivate the trainee's progress. Throughout the delivery stage, we provide project support to you and your employees in training. • Undertake all logistic preparations customized to the nature of the training program. • Determine the training needs through our TASK methodology. • Prepare academic material according to training objectives and the methodological criteria. 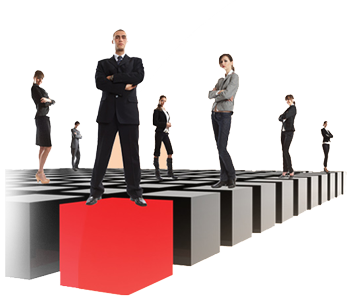 • Work towards creating a distinguished training program that meets the client’s needs and requirements. • Keep track of each trainee to ascertain that he/she benefitted from the program. • Prepare a customized assessment reports. • Utilize the assessment findings/results in the process of continual improvement and sustainable development. • Arrange for field visits for participants to assess and keep track of the actual impact of training and consolidate it. • EFQM certified Corporate Excellence Programs (Journey to Excellence – J2E, Leaders for Excellence – L4E, and EFQM Certified Assessor Training – EAT). • Human Development Programs (development and management). • These programs are either offered to the public or are customized according to your needs. • 11550 Trainees in administrative programs. • 511 Trainees in quality programs. • 293 Qualified EFQM Certified Assessors in the EFQM Excellence model. • 1932 Trainees in safety, security and medical fields. • 14 Qualified EFQM Master Assessors the 1st group worldwide to be trained according to the EFQM 2013 Model. • 382 Trained over in excellence awareness workshops.